Nickie the pug loves going out to explore her neighborhood on a morning walk with her family. She’s ready and raring to get her fix of the great outdoors before it gets too hot today! Who’s ready for an undersea adventure?! 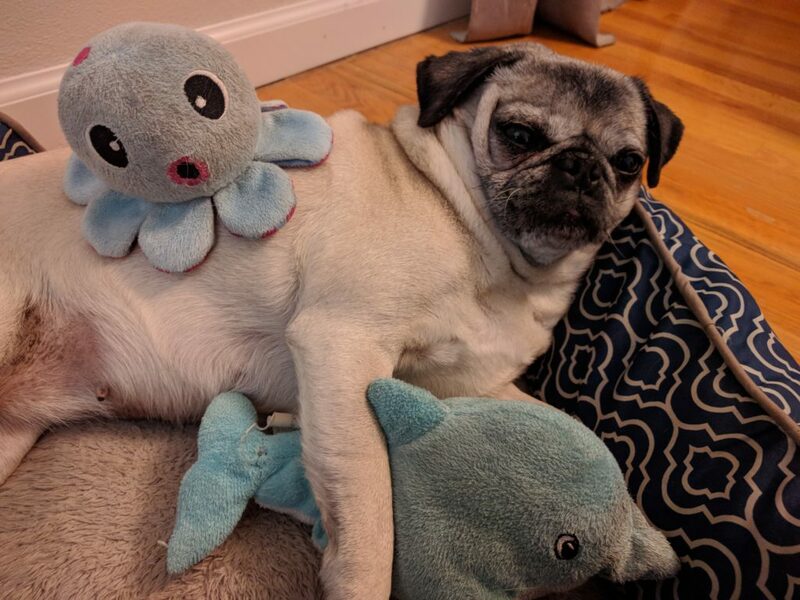 While Nickie the pug won’t be traveling to the beach this summer for seaside festivities, she’s getting ready to have sweet dreams about her own undersea adventures! 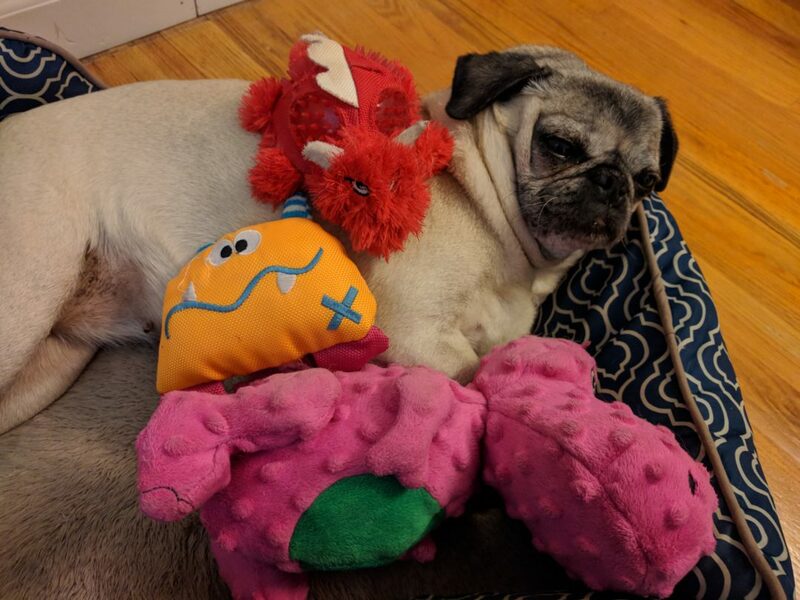 Nickie and her favorite sea creature friends are ready to snuggle up and get this weekend started! 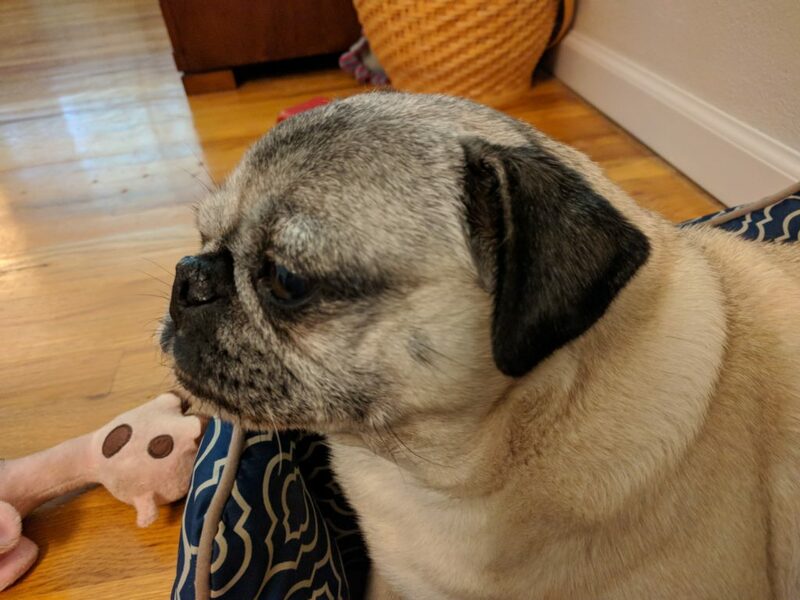 Nickie the pug is dealing with that feeling where she really wants to go outside and have some fun, but it’s raining. 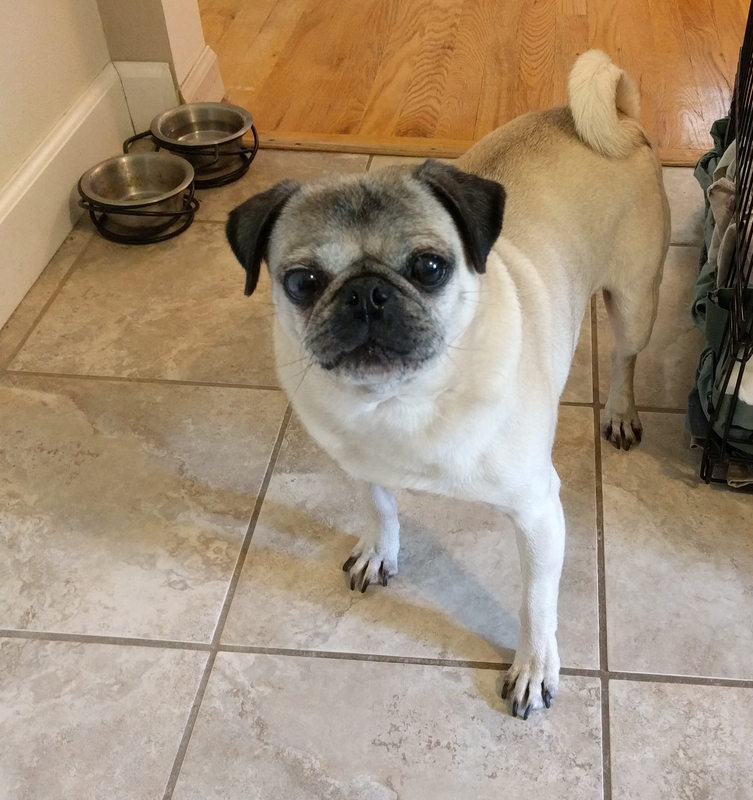 And as most pug owners know, water droplets falling from the sky are a pug’s number one natural enemy! Nickie will do just about anything to avoid going out in the rain. 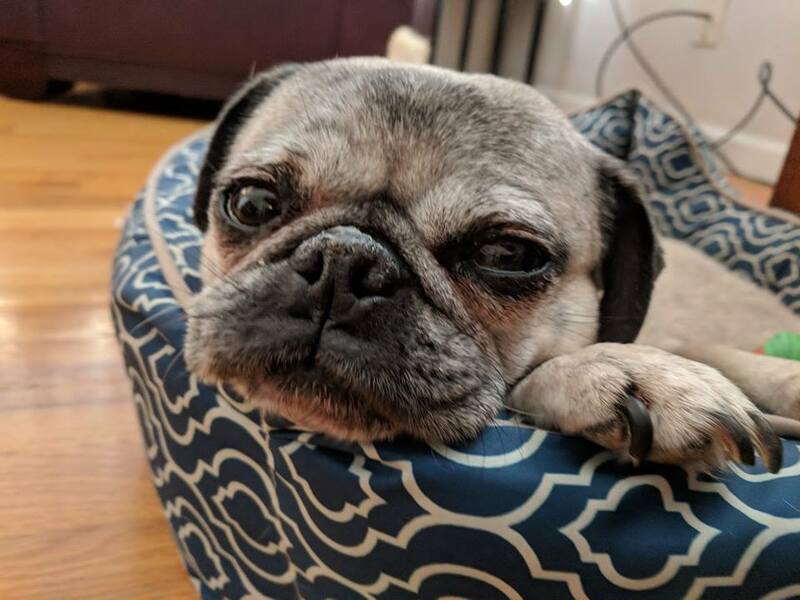 Pugs are fabulously photogenic dogs, and we can’t help taking a million pictures of our own pug Nickie. 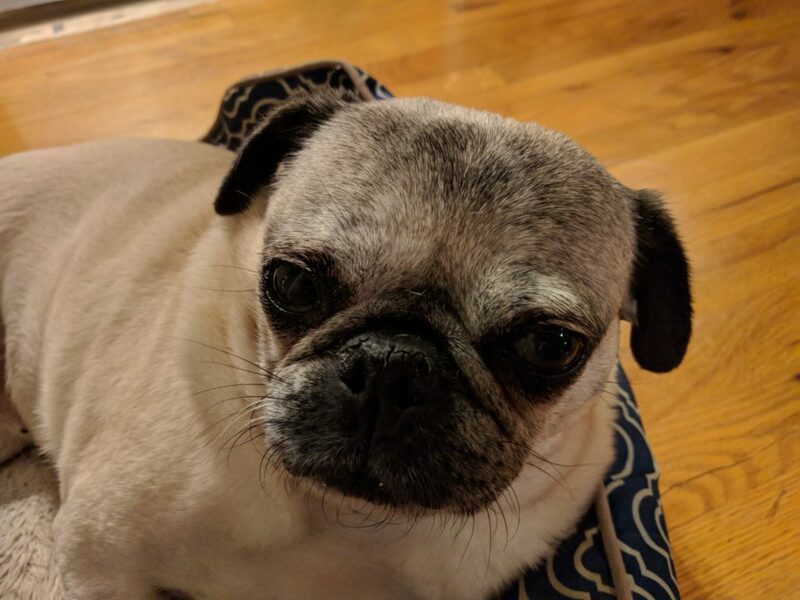 Usually she handles the impromptu photo shoots as gracefully as any Hollywood star, but every now and then she tries to turn a blind eye to the constant shutter snapping. 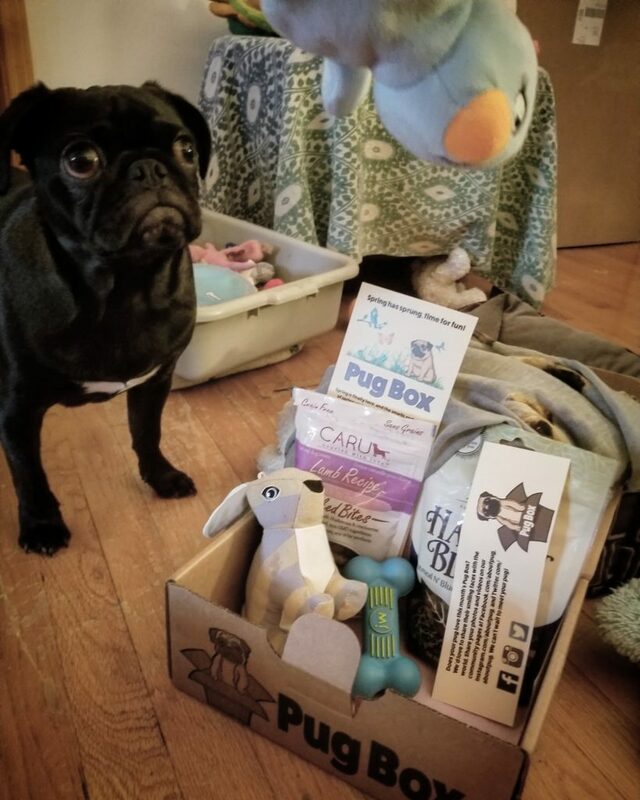 That’s okay though, we think she looks just as cute in profile! 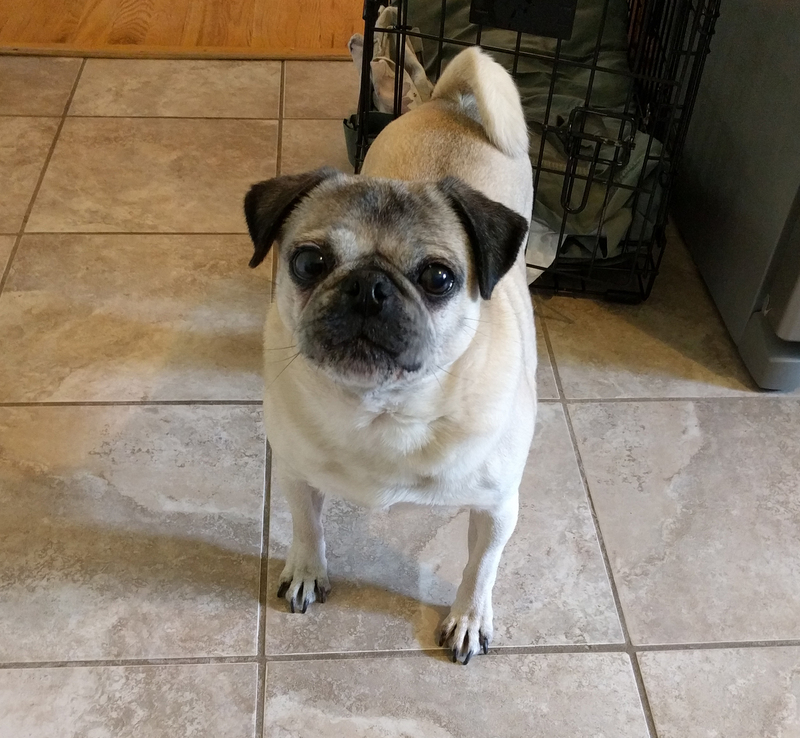 Nickie the pug wishes all the fathers and pug dads out there a very happy Father’s Day! She’s getting ready to spend some quality time cuddling with her dad! 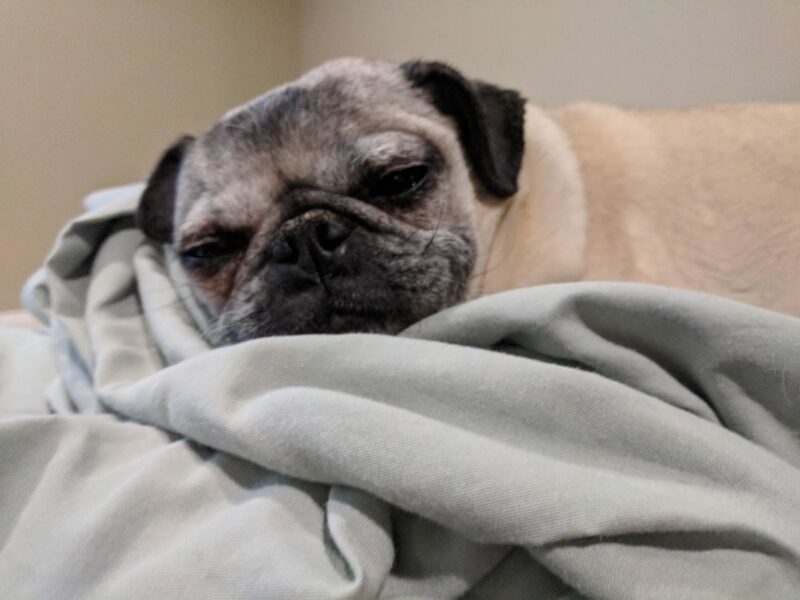 Nickie the pug is settling in for a night full of snuggles and snoozing! 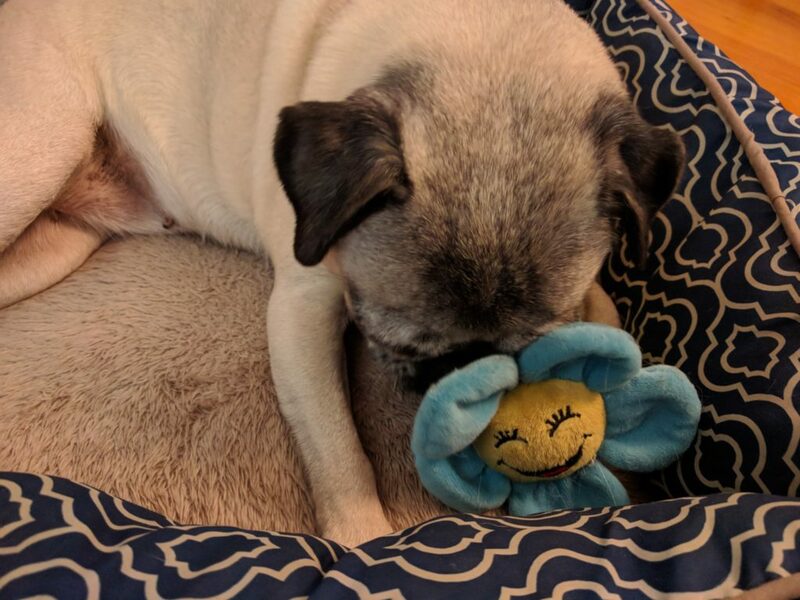 Sweet dreams, friends!